Harry, a bright and vivacious eleven-year-old, having died beneath the wheels of a lorry, is disappointed to find that 'being dead is mainly paperwork'. But having cleared the grumpy clerk manning the dodgy computer at the reception desk, Harry becomes preoccupied with a deeper concern: the wounding words he left with his sister before embarking on his final bike ride. 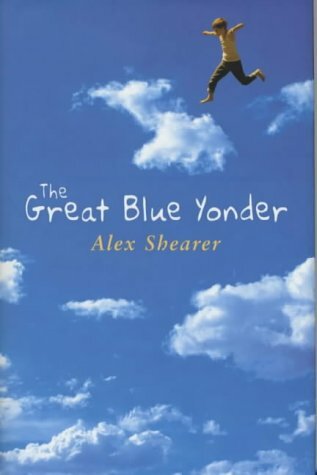 This humorous and deeply moving book tells of Harry's attempts to resolve this unfinished business, a task he must complete if he is ever to enter the creative oblivion of the wide blue yonder. This blunt summary might give an impression of morbidity or mawkishness, but the book is neither. Spoken by Harry himself in the sort of naive but heartfelt, jokey but deeply serious monologue that you might find in a Morris Gleitzman novel, this story explores bereavement, transience and healing in a way which is both entertaining and reassuring.